There’s something that I have learned very recently (about 11 months ago): Looking for a new place to live is a blessing. It reminds us of the impermanence of life. It reminds me that, in the most real sense possible, I don’t really have a home here (not yet, at least). No place will ever give me rest – true rest – rest for my soul. Today I spent over an hour driving the streets of Saint Charles, looking for apartments for rent. The booty: three places. That’s it. I drove every street in the area where we want to move to, I called all three places, and left three voice messages. Raising kids is hard. It’s a complicated process that never ends – not even when they’re “grown up” and out of the house. That’s because as we teach our children, we’re also ourselves learning how to teach them. And every lesson taught – and learned – or re-taught and re-learned – is again another new lesson – because the circumstances have changed: you’re older, the child is older, the day’s events are different, and every variable is different. The weather is different, too! Raising kids is complicated – not just because it is – but because it’s what we call life. Life is complicated. There are new variables every single day. You can’t even perform the same, simple task the same way from one day to the next. Take a less simple task as an example: you learn to walk as a toddler. Then you run. Then you gain speed and mobility. You train. You run further, faster, longer. Then you get older. You lose some of your edge. And sometimes, you lose your ability to run at all. Or even walk. You can’t approach running in the same way from one day to the next because you’re not the same person from one day to the next. Life changes. It’s one of only two constants*. But here’s the deal: some of the most memorable moments in the last six years of my feeble existence have been spent with my children. 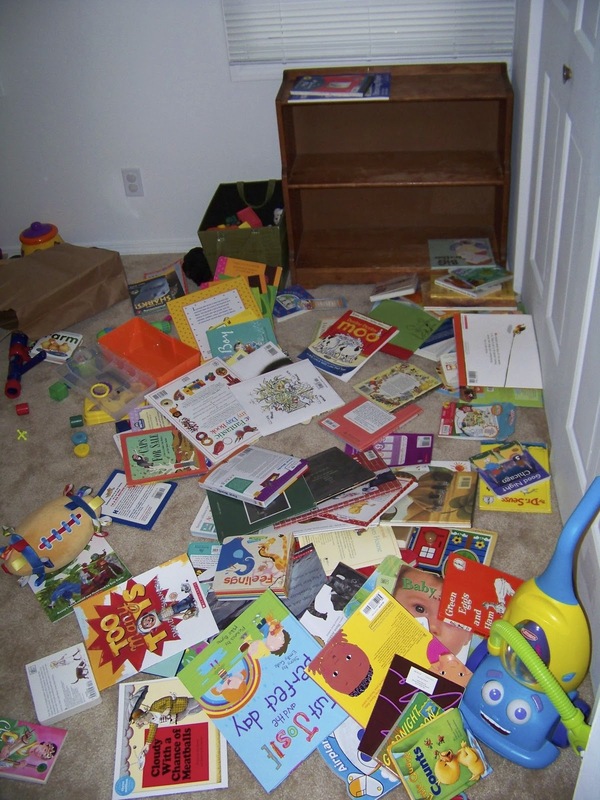 Those moments almost always relate to something they’ve done – a laugh, a tumble, a word or sentence, a mess. 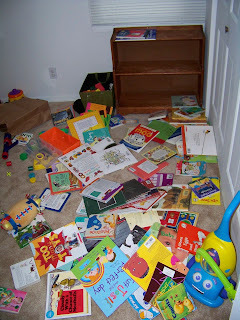 If you’re wondering what that picture is in this post, it’s my son’s bedroom after he decided to remove all of his books from the bookshelf.